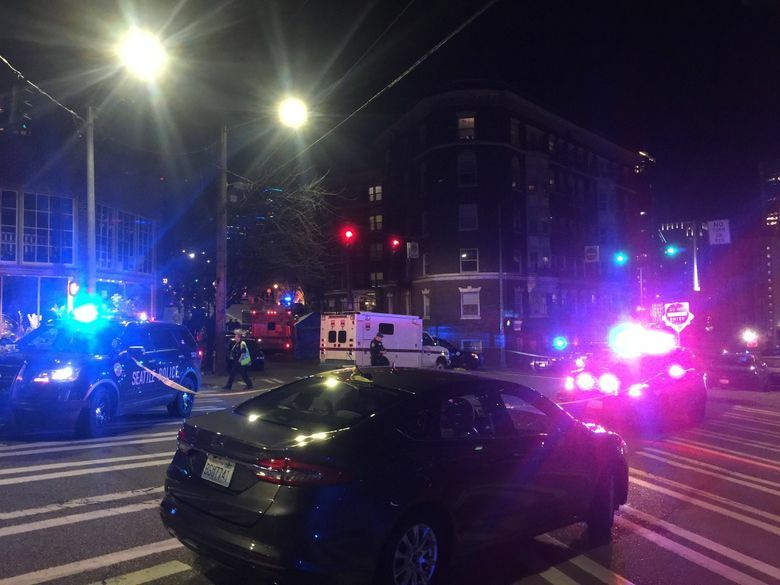 The Seattle Police Department has identified four officers who fired their weapons during a confrontation with a gun-wielding man on Capitol Hill earlier this week. A 37-year-old man, who police say was suicidal, was shot and suffered non-life-threatening injuries during the incident, police said. He has not been identified. Department spokesman Sgt. Sean Whitcomb identified the officers and their time with the department as Vaughn McKee, 5 years; Elliott Averett, 3 1/2 years; Jacob Zimmer, 1 1/2 years and Dylan Nelson, 1 year. Whitcomb said he did not know how many shots were fired. All of the officers have been placed on administrative leave pending the outcome of a use-of-force investigation and a separate investigation by the King County Sheriff’s Office, in keeping with department policy. 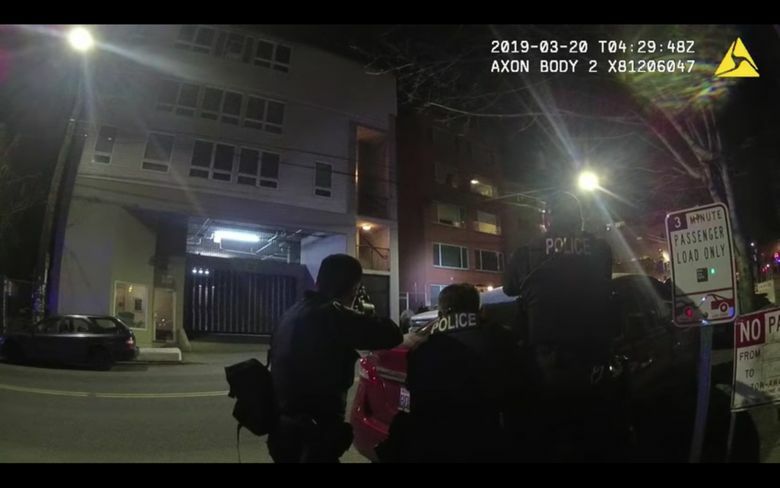 Body-camera video released Thursday showed a number of officers confronting a man outside an apartment in the 1600 block of Melrose Avenue. Police were responding to a telephone call from a family member about 9:20 p.m. Tuesday, saying the man had armed himself with a handgun and that he wanted police to shoot him, according to an SPD statement. Police allege the man raised his handgun and pointed it at officers when they fired, according to the statement. The body-camera footage does not show the man at the moment police say this occurred, and the officer wearing the body camera turned to the side as shots are being fired. The man was taken to Harborview Medical Center.